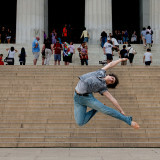 After thinking about it for years and after months of planning I finally made it to our Nation's Capital to shoot dancers in some of the world's most famous locations! 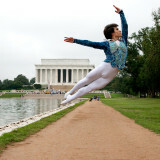 I was honored to have 4 beautiful dancers from The Washington Ballet for two glorious days! To make things even more fun I asked the gifted pbaser John Potter to shoot behind the scenes. He was joined by his son Sacha. If you believe this gallery has merit, please vote so others may appreciate these beautiful artist/athletes! Richard complements on getting the dancers and photographers together and what a super idea. You have done it judtice and come home with super photographs must be a dream come true. Thanks as well for sharing. Your galleries are always so much fun to look at. Awesome work! Great gallery and some really good POV's! Just another beautiful and very professional (as usual :-)) gallery Richard. 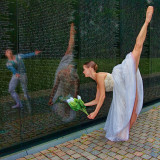 Your work with dancers pays of in high quality images and recognition. Vote. great gallery Richard. I love it with the DC architecture in the background. YOu are amazing. Another extraordinary gallery! Superb pics Richard. Hi Richard, I enjoyed to view all your so perfect and amazing shots by slideshow and I have to repead me, it is always a gift, if you could se me: My eyes were shining with joy ! You did it again Richard. A beautiful gallery. With only great photo's. A big vote. Wow! Spectacular images, Richard! I am breathless at contemplating these images. funnest gallery i've seen in ages. must have been great to be able to shoot this one. Your work continues to amaze me. You are indeed a master!!! I enjoyed going through the finished product after looking at John's documentation of it. Outstanding work, and truly inspiring for me! V.
truly exceptional photography! nothing boring here---all are to be envied. V! Your work is simply unlike any other - a masterful combination of art and technology combined! VVV! Really beautiful and excellent!!! Another big vote for this gallery!!!!!!!!!!!!!!! Amazing work and gallery, very inspiring! Really beautiful and a wonderful use of the monuments. une galerie impressionnante de qualité et d'imagination. Vos images sont toujours autant fabuleuses. Un grand merci pour nous faire passer un moment de rêve. Great talet, both behind and on scene!!!. How did you managed to keep crowds out of the shots? PS? Awesome job. Masterpieces only! I am speechless, Richard! BV. WOW!!!!!!! Another stunning work, Richard! Big Vote!!!!!!!!!!!!! Richard, as usual, your photographs are fantastic! Spectacular!!! Not only in idea, but also execution ... wonderful images. Every photo a masterpiece .. WOW! This is a masterpiece the perfect combination of talented dancers with the beauty of buildings of Washinton. Congratulations to you and to dancers. Such an extraordinary art and masterpiece. I never cease to be inspired by your wonderful creativity Richard and also by your superb level of technical excellence you show in each shot. Its a joy to keep coming back to see what you will amaze us with next! very nice your photos are always a pleasure to see and feel the energy displayed by the dancers. Another spectacular gallery, with amazing dancers, every shot just perfection; love the passion in each of the dancers faces! As always... ...awesome! You inspire me always to get more creative. Congelar alegria, emoção e técnica de dança , não é nada facil....estão perfeitas. PARABÉNS! E os bailarinos são lindos! Sem contar que é um orgulho para todo Brasil , ver Dianna,Norton e Aurora. always a pleasure to see such amaizing images !!! Great stuff as usual. I could have spent hours complimenting each photo! Please pass on to your dancers that they all have a great talent to float and make it look effortless. Well captured & set up. Ah, to be young and strong! Very striking images. The perfection is almost scary. Big vote! Very beautiful and talented young dancers! Some of the images one needs not to observe that deeply to feel they are truly artists - and you, Mr. Calmes was a very nice art director to them, getting the best technique and artistry of all of them! You are a great photographer! BRAVO! I've been looking forward to these images, and once again you produce a high quality gallery of talented athletes pushing themselves for art's sake! Pleasure to view this fine work! Welcome to my hometown - great to see your work around the monuments! "v"
Wow! This is stunning work, Richard. You must be very proud! Thank you Richard was great expirience you are just AMAZING!!!!!!!!!!! Thank you Mr.Calmes!it was such a great experience working with you.you are amazing thank you so much! look forward to seeing you again!good luck for everything!we miss you! 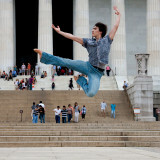 Mr. Calmes, I love your photos. Beautiful, wow. I can't wait for more. Beautiful job, Mr. Calmes....as far as I can already see! Congrats!